Being a web app, Google incrementally updates the features found within G Suite to better cater to its users. However, these changes increase the responsibility of the users to learn about the changes and how they affect new and previously created content. This article highlights the changes in navigation, stream posts and the new feature, guardian summaries. 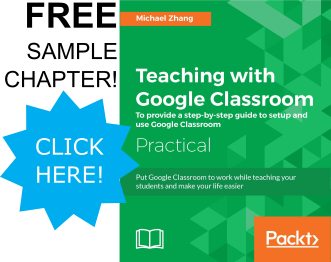 There are several minor changes throughout Google Classroom that are not noticeable unless you are familiar with the user interface before the changes. These small changes are not covered. Instead, more noticeable changes that affect organisation within a class can help both teachers and students retrieve information easier within the class. 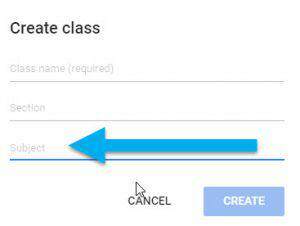 When creating a new class, teachers now have an option to add the subject to the class, as shown below. When this section is filled in, Google classroom will guess an appropriate theme for the class more accurately and students will be able to see the subject below the class title rather than the section. This change allows teachers to rely less on the class title to include the subject. Class titles can be as simple as ‘Mr. Zhang’s Class’ rather than ‘Mr. Zhang’s Science 10 Class.’ The change is minor, but it is also applicable for classes created for projects or clubs rather than classes. An image of the change is found below.